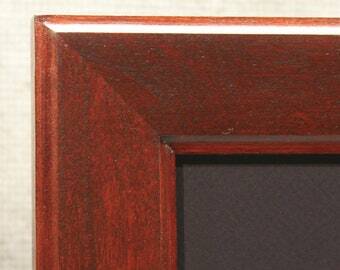 Enhance your home office or office decor with this beautiful cherry diploma frame that will hold your 14 x 17 diploma. 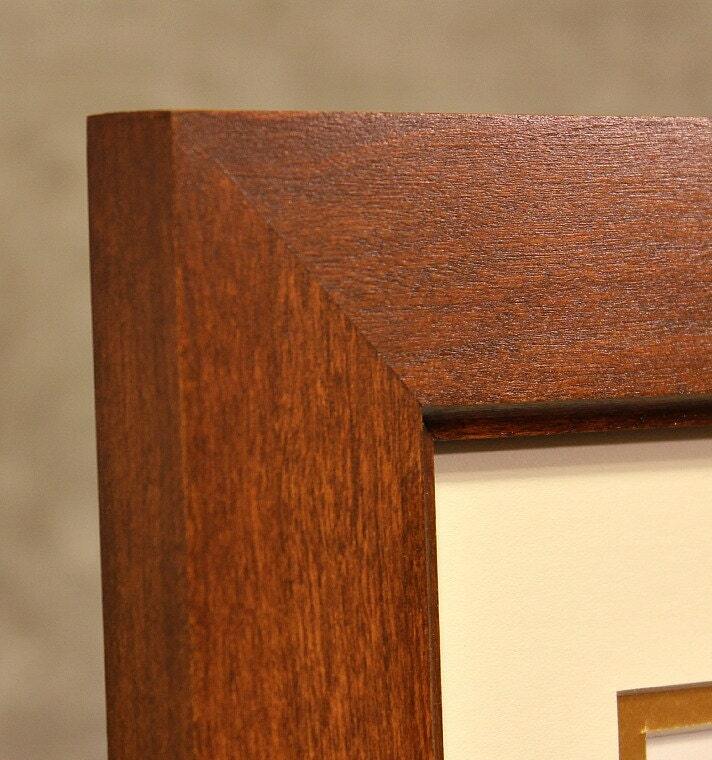 The wood grain, look and feel of solid cherry make a statement wherever its displayed. It brings a warmth and a touch of class that mass produced frames just can't match. If you like the look of real wood, have an appreciation of hand craftsmanship and high quality, this frame is for you. All of my handmade frames start with a piece of raw lumber and travel through 10 individual steps in my shop from milling to applying the final coat of urethane. I glue and v-nail each and every corner of every frame to ensure my clients aren't faced with split corners a year or two down the road. Cost: $185.00 - I also except Bitcoin or Ethereum at a discounted price (5% off with Ethereum and 10% off with Bitcoin). Contact me if you are interested in using either of these cyrpto-currencies. Contact me for details.